The Best Nursing Homes 2013 ratings highlight the top nursing homes in each city and state, out of nearly 16,000 facilities nationwide. U.S. News’s goal is to help users find a home with a strong track record of good care. Best Nursing Homes draws on data from the Centers for Medicare & Medicaid Services, a federal agency that assesses homes in three categories—health inspections, level of nurse staffing, and quality of care—and gives each an overall rating. U.S. News awarded the “Best Nursing Home” designation to homes that earned an overall rating of five stars from CMS in January 2013. Along with the ratings, U.S. News has published a series of articles and a step-by-step video to guide users in choosing the right nursing home. The articles and ratings are exclusive to the website and aren’t expected to appear in print. Seniors Blue Book will host its annual senior symposium at Shell Point Retirement Community on March 7 from 9 a.m. to 3 p.m. and will take place in the Community Auditorium on The Island at Shell Point. This is a free event, and lunch is included. However, space is limited, and a reservation is required for entry. To register call (239) 313-6409. This symposium will help to educate seniors and their families about their options in Southwest Florida. Attendees will learn how to decide the right time and place to make a change – whether it’s moving into one of the many beautiful independent living communities in our area, choosing an assisted living community because more services are needed, or having outside help so seniors can stay in their homes. The Seniors Blue Book is updated twice a year. It is available free at over 620 locations, including most Walgreen’s. An “A-to-Z” directory of services, it is a useful resource for seniors and their families. In addition to educational articles, you will find information for all senior housing and health at home options. Visit www.seniorsbluebook.com. Shell Point Retirement Community is a not-for-profit continuing care retirement community located in Fort Myers just off Summerlin Road, two miles before the Sanibel causeway. Shell Point has received national accreditation from CARF-CCAC, and is a nationally recognized leader in the retirement industry. 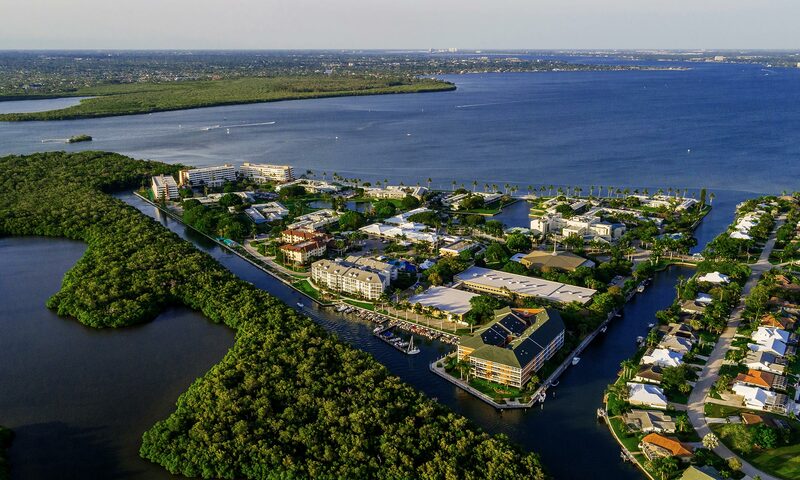 The community offers retirement living in a resort-style environment with an 18-hole championship golf course which is open to the public, as well as recreational/fitness facilities and deep water boating access for its residents. To learn more about Shell Point, visit us at www.shellpoint.org or call 1-800-780-1131. The Village Church at Shell Point Retirement Community will welcome the Indiana Wesleyan Choir on Sunday, March 3 at 6:15 p.m. This performance will take place in the Village Church Auditorium on The Island at Shell Point. Tickets are now on sale and are $10 each. Shell Point Retirement Community will be bringing an informational seminar to the Hilton Naples located at 5111 Tamiami Trail North in Naples on Wednesday, March 6. This seminar will take place at 10 a.m. and will offer guests the opportunity to learn about the resort-style retirement options and lifecare available in this nationally recognized retirement community in Fort Myers. Guests will learn about the benefits of lifecare, the numerous retirement options available at Shell Point, and see an overview of the community through a presentation. Guests will have the chance to ask specific questions, and schedule a visit to the community for a personal tour. Admission to these seminars is free; however, seating is limited, so reservations are required and may be made by calling 239-466-1131 or 1-800-780-1131. Shell Point Retirement Community is a not-for-profit continuing care retirement community located in Fort Myers just off Summerlin Road and McGregor Boulevard, two miles before the Sanibel causeway. Shell Point has received national accreditation from CARF-CCAC, and is a nationally recognized leader in the retirement industry. The community offers retirement living in a resort-style environment with an 18-hole championship golf course, deep water boating access, and recreational and fitness facilities. To learn more about Shell Point, visit us at www.shellpoint.org or call 1-800-780-1131. Shell Point Retirement Community will open its doors for the Florida’s Great Outdoors Open House on Thursday, February 28, from 10 a.m. to 3 p.m., rain or shine. This event is free and open to the public. “The theme of this year’s open house, Florida’s Great Outdoors, will focus on the natural setting that surrounds Shell Point and Southwest Florida,” said Lynn Schneider, assistant vice president of marketing and communications for the community. “Shell Point residents enjoy a wide variety of resort-style services and amenities, many of which take place outdoors year-round where residents enjoy all that the natural environment has to offer here in Florida.” Visitors will be able to view and explore a wide variety of attractions on property for the day including a synchronized swimming show, craft bazaar, farmer’s market, model train room display, live entertainment, and more. There will be free refreshments, door prizes, a health fair, and boat tours around The Island at Shell Point. Guests will also have the opportunity to take self-guided tours of the community’s three neighborhoods, and visit several decorated models. “Shell Point is such a unique place to live, with diverse services and amenities, and the open house is a perfect way for senior adults to tour the community and see the lifestyle it offers while also visiting with residents of the community,” she said. The Purdue Glee Club will perform in 2012-2013 Season of Praise Concert Series on Monday, March 11, at 7:15 p.m. This concert will take place in the Village Church auditorium on The Island at Shell Point. Tickets are now on sale and are $10 each. Enjoy a one-of-a-kind gospel concert presented by The Purdue Glee Club. With integrity, passion, unparalleled showmanship and attention to every detail, this concert by the Purdue Varsity Glee Club is sure to be inspiring and entertaining. “We are honored to welcome back the Purdue Glee Club as part of this inspirational concert series,” says Pastor Randy Woods, minister of worship and music for The Village Church. “The Glee Club is always entertaining and inspiring; we just had to have them back.” Tickets are now on sale and are $10 each. To purchase tickets on line go to http://www.shellpoint.org/seasonofpraise. To receive additional information about the concert series, please call (239) 454-2147. The next concert in the Concerts and Conversation Series at Shell Point Retirement Community will be the Amernet String Quartet on Thursday, February 21, 2013 at 7:00 p.m. Following the concert, guests will have the opportunity to enjoy a beverage and dessert reception with the performers. Lauded for their “intelligence” and “immensely satisfying” playing by the New York Times, the Amernet String Quartet has garnered worldwide praise and recognition as one of today’s exceptional string quartets. The founding members were students at The Julliard School and are currently the Ensemble-in-Residence at Florida International University. Amernet rose to international attention after their first season, winning the Gold Medal at the Tokyo International Music Competition in 1992. In 1995, the group won first place at the prestigious Banff International String Quartet competition. Amernet has since maintained a busy performance schedule, which has taken them across the United States, as well as to Japan, Canada, Mexico, and throughout Europe. Shell Point Retirement Community will be bringing an informational seminar to the Tony Rotino Center in Cape Coral located at 5817 Driftwood Parkway on Thursday, February 21, at 10 a.m. This seminar will offer guests the opportunity to learn about the resort-style retirement options and lifecare available in this nationally recognized retirement community in Fort Myers. Shell Point Retirement Community will be bringing an informational seminar to the Hyatt Place in Coconut Point, located at the entrance to the Coconut Point Shopping Center at 23120 Via Villagio in Estero on Tuesday, February 19, at 10 a.m. This seminar will offer guests the opportunity to learn about the resort-style retirement options and lifecare available in this nationally recognized retirement community in Fort Myers. Guests will learn about the benefits of lifecare, the numerous retirement options available at Shell Point, and see an overview of the community through an informative presentation. Following the presentation, attendees will have the chance to ask specific questions, and schedule a visit to the community for a personal tour.